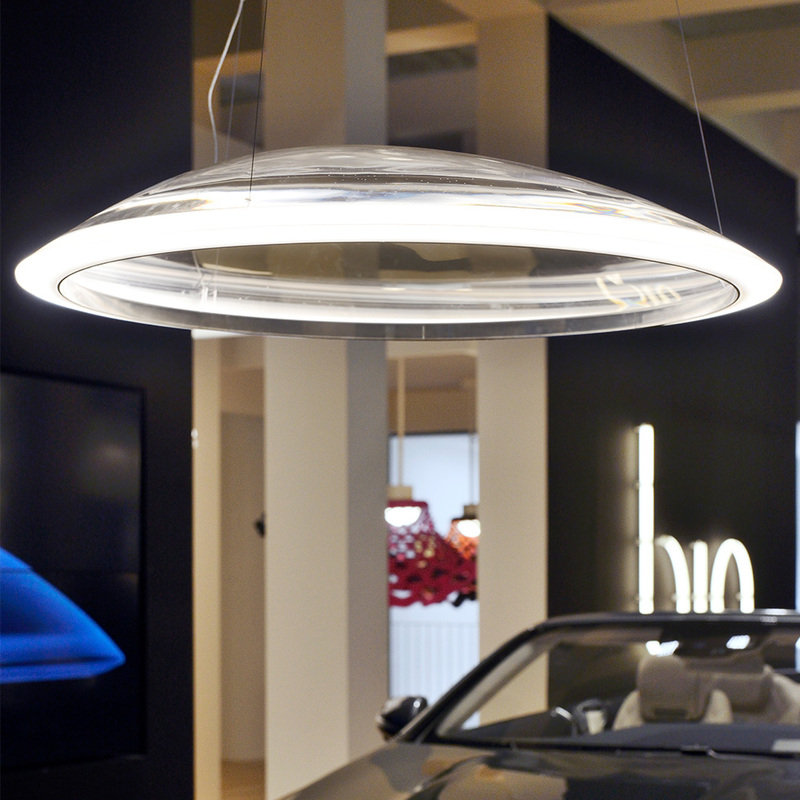 Artemide is a worldwide leader in lighting design with an unparalleled commitment to technological innovation and research. The team at the research and development center in Pregnana Milanese developes every product from concept to industrial production. 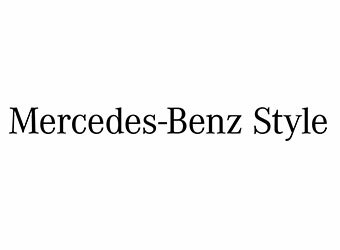 Since 2010, in addition to classic automobile design, Mercedes-Benz designers have also created designs for other products in cooperation with selected partners under the label Mercedes-Benz Style. The aim is to transfer Mercedes-Benz's unmistakable, progressive design idiom and high standards of luxury and aesthetic appeal to other spheres of life. All of the products designed by Mercedes-Benz Style boast a dynamic and avant-garde design that is the hallmark of the brand, as well as uncompromising quality and a choice of fine materials finished to perfection. The portfolio of Mercedes-Benz Style includes products in the areas of mobility, lifestyle, sport and interior design. 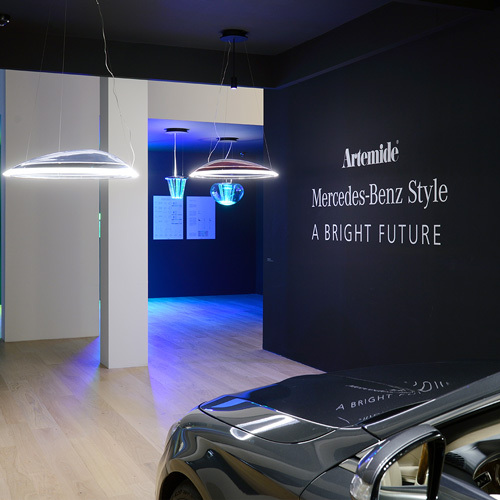 Ameluna is the result of a collaboration between Artemide and Mercedes-Benz Style, combining the lighting competence of Artemide with the distinctive style of Mercedes-Benz. Ameluna features cutting-edge technology through optoelectric innovation and the ability to interact with the surrounding environment in a digital dialogue. Ameluna is also available in RGB version. It can be controlled from an app that can memorize the lighting experience. Ameluna RGB is not compatible with dimmer, dimming controlled by the Ameluna app. Ameluna RGB must be installed on a circuit controlled by an On/Off switch. 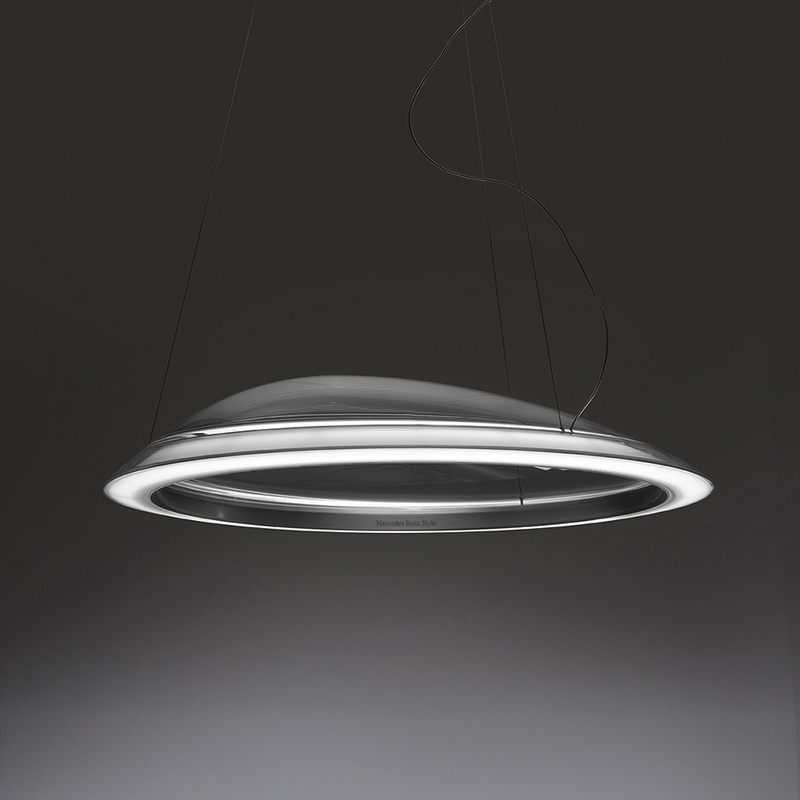 Suspended only by three ultrathin wires, the lamp appears to float in space. The name, Ameluna, is a combination of Artemide (A), Mercedes-Benz (Me), and Luna, the Italian word for moon. Like the moon is lit by the sun, an extra spotlight situated above the lamp is the source of its wide range of color effects. 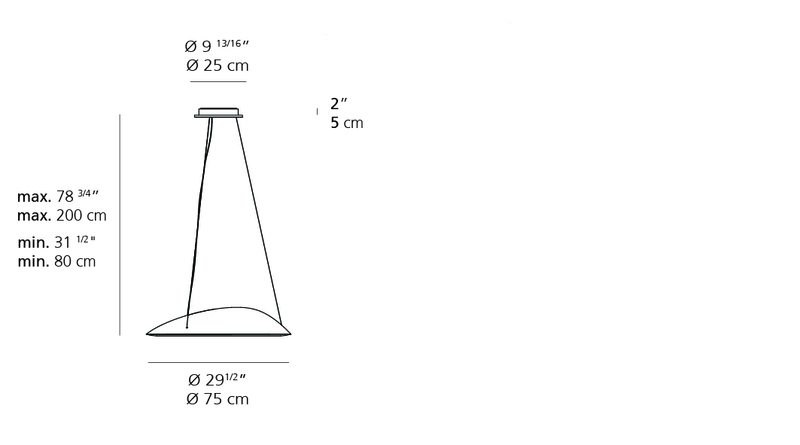 -Body in high transparency injection-molded PMMA. -Heatsink structure in polished calendered aluminum. -Lower ring of body in PMMA with opaline finish. 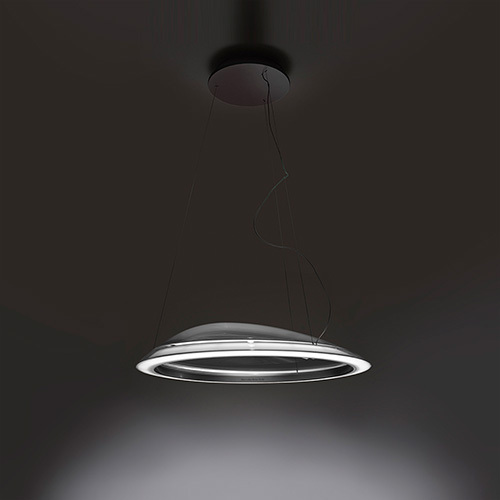 -Ameluna discloses an innovative optoelectronic system integrated in the transparent frame. -Heatsink is an extrusion that runs all around the body and hosts the LED strips. -Light reflected by thin PMMA element and then diffused by ring of opaline PMMA.